Leave a message for Shep using the form fields below. If you have any questions, please contact us at (212) 269-7800. For general inquiries, email compliance@ingalls.net. 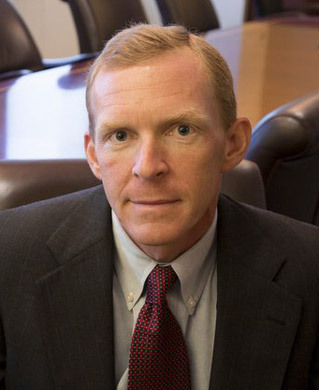 Shep Boone is a Senior Vice President and portfolio manager, and manages a private investment fund at the firm. He has over 20 years of experience in debt and equity investments. His investment strategies have focused on undervalued securities and distressed/turnaround opportunities. Shep believes in buying out-of-favor or mispriced securities at a discount to the intrinsic value of a company’s underlying assets or business. Prior to joining Ingalls & Snyder in 1993, Shep was a distressed debt trader with Mabon Nugent & Co. Shep has been a Director of Ingalls & Snyder (1997-1998), a Senior Director (1999-2001 and 2009-2010), a Managing Director (2002-2008), and has been a Senior Vice President since 2010. Shep earned his B.A. from Colgate University in 1989. Shep and his family reside in Connecticut.